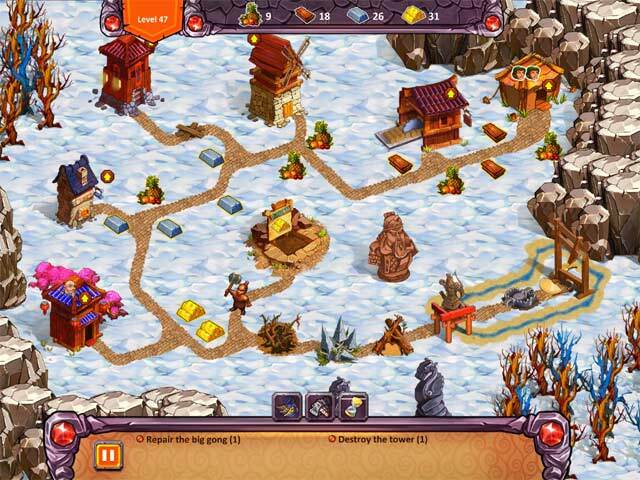 In Lost Artifacts: Soulstone, go on an adventure full of myths and legends as you master exciting time management levels. Restore statues, build epic buildings, overcome challenges and manage resources in your quest to stop the terracotta army! 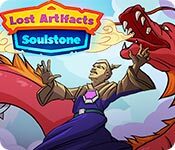 Lost Artifacts: Soulstone is rated 3.0 out of 5 by 8. 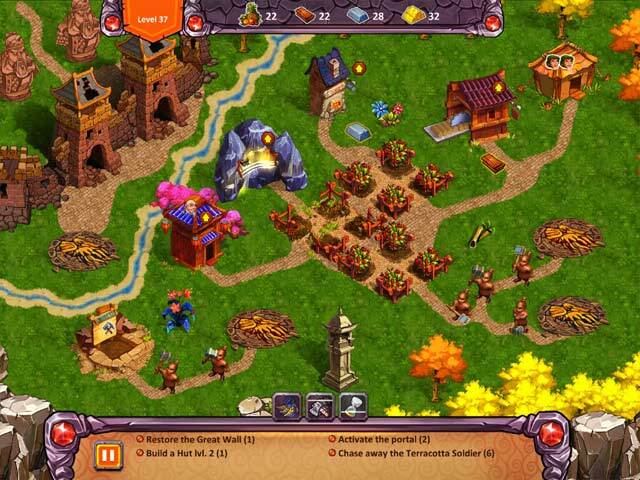 Rated 5 out of 5 by beltie from Good Strategy TM Game This Game in the Series follows the same criteria as the others. On first glance, it may seem like a game for youngsters, as some levels are very straightforward. With that said, other levels require a good bit of strategy. This provides good replay value to get 3 stars. It also allows you to queue up tasks. A MUST in a TM Game, as far as I'm concerned. Controls are a little touchy on some levels, meaning when you have an obstacle or resource to get and it's close to a Building, you have to be more precise where you click. Just a tad annoying. It does not take forever to Upgrade Buildings. Just takes strategy and planning to ensure one upgrades them based on the requirements for the Level. Although graphics are a little less "hi tech" than some games, they are still cute and easy on the eyes. IMHO, this is a good game. It really is for the Strategist though. If a straight click and gather is more to your liking, this probably won't be your first choice. If you like the Gardens, Inc. series, you'll probably like it. I gave it 5 stars instead of 4, to offset some of the other low star reviews, which IMHO, were a tad low for the quality of the Game. I played it anyway, based on my enjoyment of the previous ones in the Series. Glad I did! Rated 4 out of 5 by nemlee from Not THAT bad! Well, I like this game! I don't care about music and sound effects as I play with sound muted,and to be honest, I don't really care about a story-line. 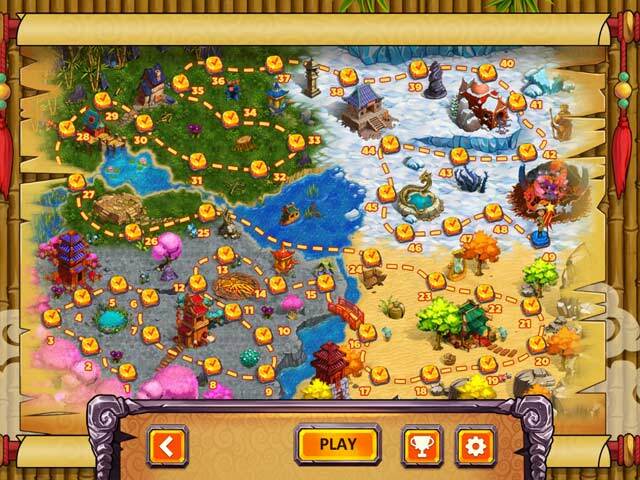 The lil guys run about busily, and there is enough challenge in each level to keep me engaged. I did download the trial, and liked it - then there was a sale so I got it cheap, and will keep my "free game" punch card for something else. What's not to like! Rated 3 out of 5 by icypup from not challenging enough The levels were not challenging - strategy was the same - (SPOILER)... build up food and wood at the beginning of the level and easily get three stars. Rated 3 out of 5 by layzeedaisy from A long journey and it got easier After the first few levels I thought (hoped) the levels would get harder as we went along. They didn't. They got easier. That was disappointing. TM games are my favourite. I don't expect them to sing, dance, and tell jokes, but I do expect the levels to get increasingly more difficult. There was some entertainment factor involved - but not much. The game was good enough and if you want to spend a few easy non-challenging hours, this is the one for you. Rated 3 out of 5 by pennmom36 from NOTHING TO SEE HERE FOLKS! Lost Artifacts has made a third attempt, but once again has failed to grab the attention of TM fans. The colors are dull, the tasks are repetitive and predictable. If you do happen to enjoy this game, this SE version is the better route because there's really nothing CE worthy about the other version, there isn't even a Strategy Guide! In the first Lost Artifacts game, the archaeological team was able to stop the Dark Priest from doing his Dark dirty deeds, and the team regretfully had to say goodbye to their newfound native friends. In the second Lost Artifacts game, the team's airplane was no match for a hurricane they encountered, and they crashed on a large but remote island in the middle of the ocean. They discovered a tribe of Atlantean's that had survived when the city of Atlantis was sunk by yet another evil-doer, and the team had once again agreed to help them return to their beloved city, after defeating the evil-doer of course! Now the team has to face a third evil-doer in this third installment of Lost Artifacts when a thief steals the legendary Soulstone which possess unfathomable powers. Evil-doer #3 has already used the stone to awaken a Terra-cotta emperor, and he's a bigger evil-doer than the thief himself! Can the team stop this madman before he awakens the ancient dragon and takes over the world? There are the usual tasks to perform of gathering resources of Food, Wood, Ore, Gold, Lumber, and the usual buildings to repair such as Huts for workers, Sawmills for Lumber, Farms for food, Mills or a Blacksmith barn. You will repair bridges, remove mantraps, and trade goods at the merchant market. Some levels require that you upgrade certain buildings to a certain level. You may need to build a house to accommodate a specialized person to rid the paths from certain obstructions such as a Monks house to restore statues, defenders houses to rid the path of snakes. If you are a seasoned Time Management fan, I think you'll find this game to be a bit bland, with not a whole lot of challenge. I personally don't see the need for a handful of music soundtracks, concept art or trophies that are available within the CE version, when it comes to a TM game. The CE version doesn't even include a Strategy Guide, and neither version has a difficulty mode option! LOST ARTIFACTS SERIES LIST Title***Collector's Edition Release Date***Average Rating 1-Lost Artifacts CE (July 18-2017) 3.0 *Lost Artifacts SE (August 30-2017) 3.2 2-Lost Artifacts: Golden Island CE (September 19-2017) 3.0 *Lost Artifacts: Golden Island SE (January 5-2018) 2.5 3-Lost Artifacts: Soulstone CE (May 1-2018) 2.8 *Lost Artifacts: Soulstone SE (June 20-2018) n/a by 8 Floor LTD. Rated 2 out of 5 by gg3000 from Wasted TM Even if a TM game has "the usual" puzzles and game play, I'd still enjoy it IF it had nice graphics and an interesting story line. This game has nothing positive going for it. Tedious tasks, silly characters, and no real story. I wouldn't recommend this game with so many others out there worth playing. Rated 2 out of 5 by JeannieT_LFP from Same old, same old I really wanted to like this game, as there as so few new time management games offered. I quit after less than 15 minutes into the demo when I was unable to proceed unless I restarted the game because I failed to select the mandated actions in the "correct" order. If you're willing to deselect instructions, perhaps the game gets somewhat better as it progresses. However, from what I observed, this is just another rehash of a lot of games from years past. This is not a game I would obtain, even with a free coupon. As always, try before you buy. Rated 2 out of 5 by ElizabethR1533 from Click-fest Poor graphics, irritating noises and sound effects. It's just a click-fest. Takes ages to upgrade buildings, ages to collect what you need. It's just another poor time management game, as per usual. I don't know why I bother getting mildly excited about a new TM game anymore.